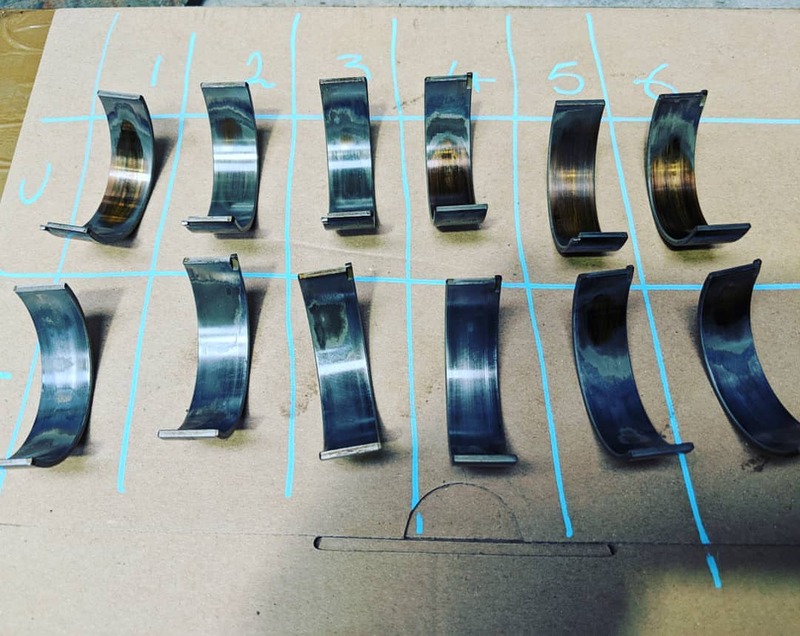 The S54 engine as found in the E46 M3 has a few weakpoints, one of which is the bottom end – most specifically the big end bearings. Having found out the hard way on a previous M3, Tim didn’t want to make the same mistake again and so booked it in with us for a big end upgrade. Once the old bearings were removed it was clear that it was a well-timed decision! The bearings were replaced with King Bearings along with ARP hardware. The perfect combo for a reliable and long-lasting S54. The sump was then refitted with a Genuine BMW gasket. 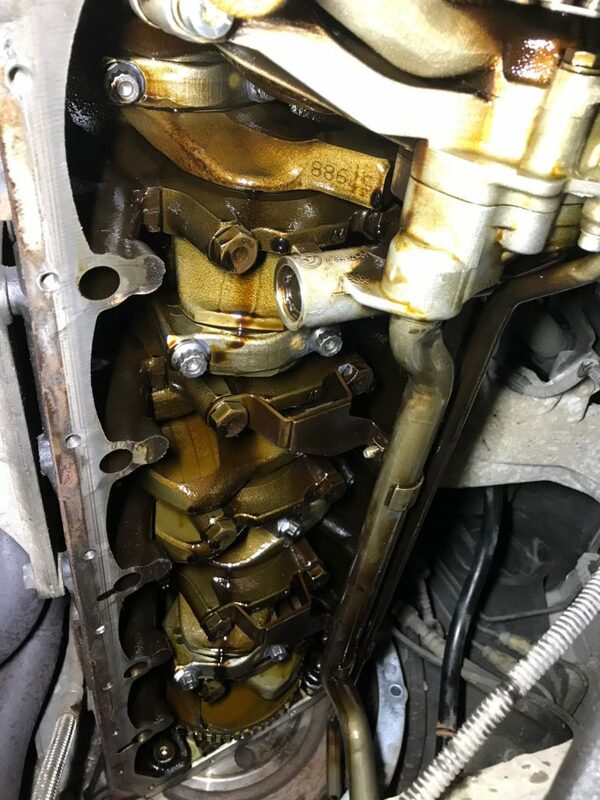 A new BMW oil filter and oil were then added and the engine was almost ready to be fired up again. Tim also asked that we supply VAC Motorsports Underdrive Pulleys and new Meyle idler and tensioner pulleys. 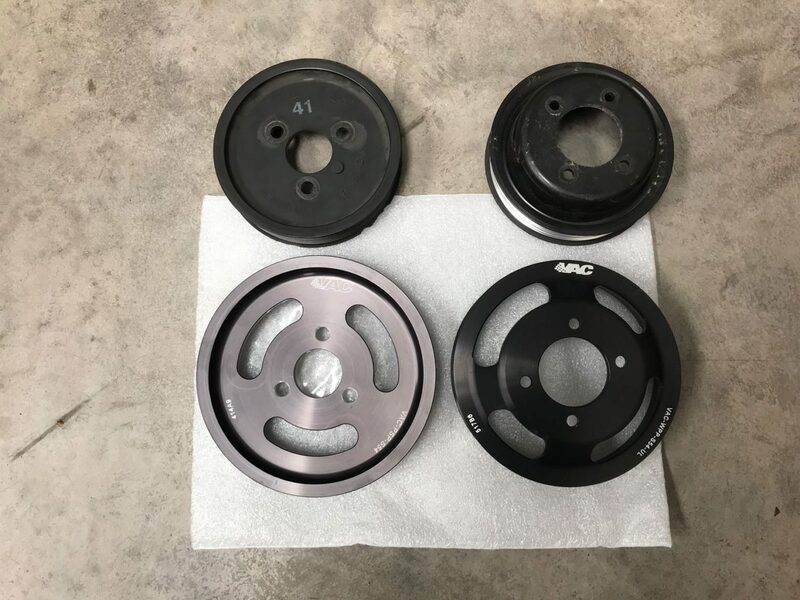 These pulleys reduce parasitic loss suffered by the engine, helping it to get as much power as possible to the rear wheels. The Meyle parts also stopped a squeak that the engine had been suffering. Finally, a quick repair to a coolant leak on the heater circuit and Tim’s M3 is good to go. Perfect as it’s heading straight to the ‘Ring – with the bearings in the state they were, it’s doubtful that the engine would have made it back.